This verse is a perfect reminder as to why we are memorizing Bible verses to begin with. 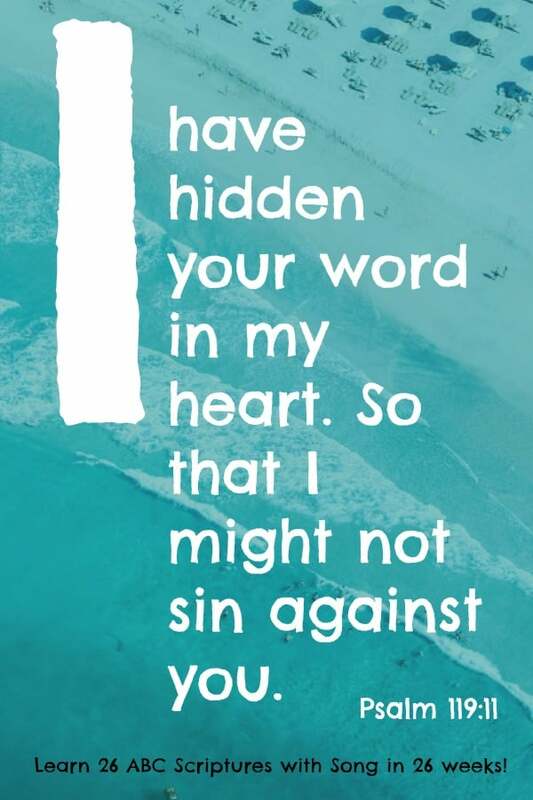 We are hiding God’s Word in our hearts (and our children’s hearts) by memorizing his Word so that we can pull it out when we need it and keep our ways aligned with God. The earlier we guide our children down this path, the better. As always it is easier to remember when we can put the verse to a song. Steve Green has a fun and catchy video on YouTube to help us remember Psalm 119:11. This is one my children learned four years ago and still remember the Bible verse, thanks to this catchy tune! Head over to the resource library to download your printable of Psalm 119:11. Then hang up throughout the house to keep the verse (and the tune) at the forefront of your mind as you are working on your memorization. This post is one in a series of blog posts that provides children-friendly Bible verses. In each post, there is a printable, and a link to a YouTube video because I have found that learning by song is the best way to memorize. 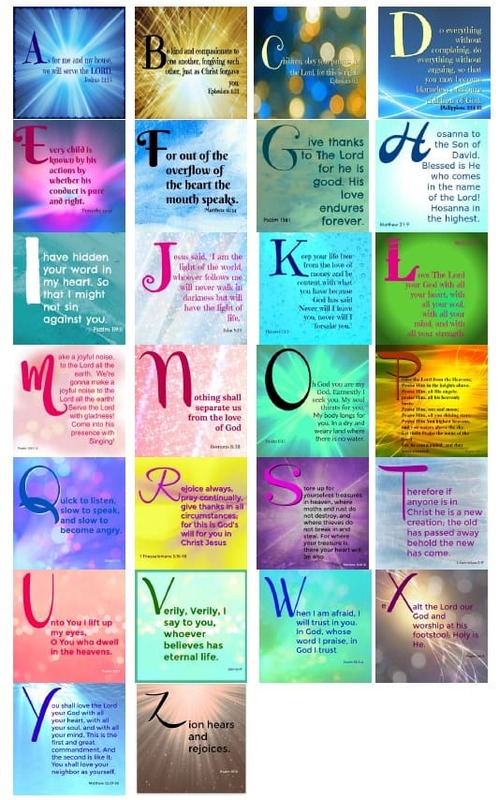 There is one Bible verse per letter of the alphabet to make it that much more fun! You can find the original post here with the index of all of the verses. Only want these printables? Get them in the resource library. 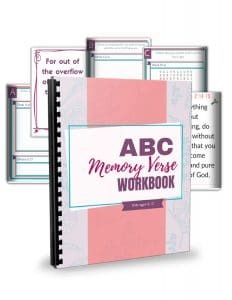 Get the secret to learning all 26 ABC Bible Verses with your kids in 26 weeks with this workbook! Make learning Bible verses part of your nightly routine and bonding time! It’s possible – it’s how I did it. Check out our story here and the workbook here!